IQSA 2014 Keynote and Response Papers Now Available! Following the success of the IQSA Annual Meeting in San Diego, there has been high demand for access to the keynote paper of Professor Angelika Neuwirth and the response paper of Professor Andrew Rippin. We are very pleased to make both of these papers now available on our website, **Here**. Together, these papers reflect the vibrancy of various (inter)disciplinary approaches to the text and context of the Qur’an, as well as the value of critical dialogue for the ongoing vitality of Qur’anic studies. Such dialogue is enriched through the active engagement of IQSA members and friends. Please follow us on Facebook and Twitter, join our online discussion group, become a member of IQSA, and spread the word among your colleagues, students, and friends! Thanks for your support! All members of IQSA are encouraged to propose names for the position of the next IQSA President-Elect! The Nominations Committee are now accepting nominations for the position. The next President-Elect will be elected in 2015 and, pending confirmation at next year’s Annual Meeting, will then serve as President-Elect in 2016 and as President of IQSA in 2017. Please send your nomination to contact@iqsaweb.org. Non-members interested in participating in the IQSA nomination process must first become members of IQSA by completing the online membership form (here), and then may submit their nominations by email to contact@iqsaweb.org. Nominations for President-Elect must be received in advance of the Annual Meeting beginning on Friday 21 November. As a reminder, all IQSA members are welcome to attend the Business Meeting of this year’s Annual Meeting, which will take place on Sunday 23 November, 11:30-12:00, Room 24 C (Upper Level) in the San Diego Convention Center. Space Available for the Mentorship Lunch – Reserve Yours Today! Act now to take advantage of this great opportunity! To sign up for the Mentorship Lunch, please email IQSA at contact@iqsaweb.org. The IQSA Business Meeting will take place at our Annual Meeting in San Diego on Sunday 23 November from 11:30 AM until 12:00 noon (after a panel on the Qur’an and the Biblical Tradition). All IQSA members (and only IQSA members) are strongly encouraged to attend the Business Meeting, when IQSA’s acting President, Andrew Rippin, will present to a vote of IQSA members-in-attendance the nominees for the 2015 President-Elect and a fifth member of the Nominating Committee. It’s not too late to register for a free 2014 IQSA membership! Just submit an online Membership Form here. Then take advantage of your membership by participating in the Business Meeting! 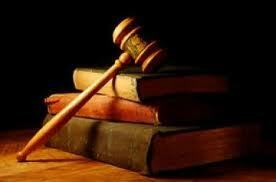 Theme: The Qur’an and Justice: How Removable are the Contradictions? Business Meeting (30 min) – All IQSA Members are expected to attend! Participants will discuss together the two selected Qur’anic passages. 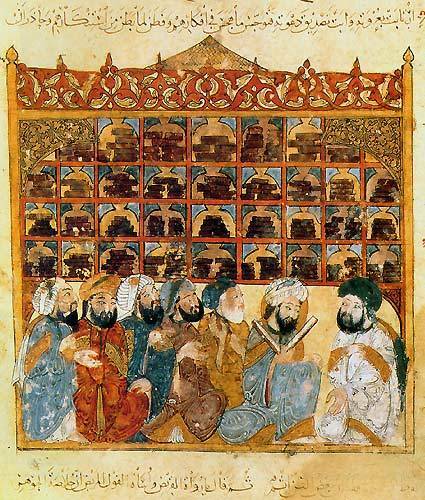 This panel is dedicated to the emerging field of Semitic Rhetoric/Ring Composition theory applied to the Qur’an. IQSA Annual Meeting: Full Program Available! Please join us! We look forward to seeing you soon! IQSA Board members Fred M. Donner, Ebrahim Moosa, Gabriel Reynolds, and Andrew Rippin will be happy to meet you and share their insights into what it means to be a professional in Qur’anic studies. If you are interested in signing up for the Mentorship Lunch, please email IQSA at contact@iqsaweb.org.